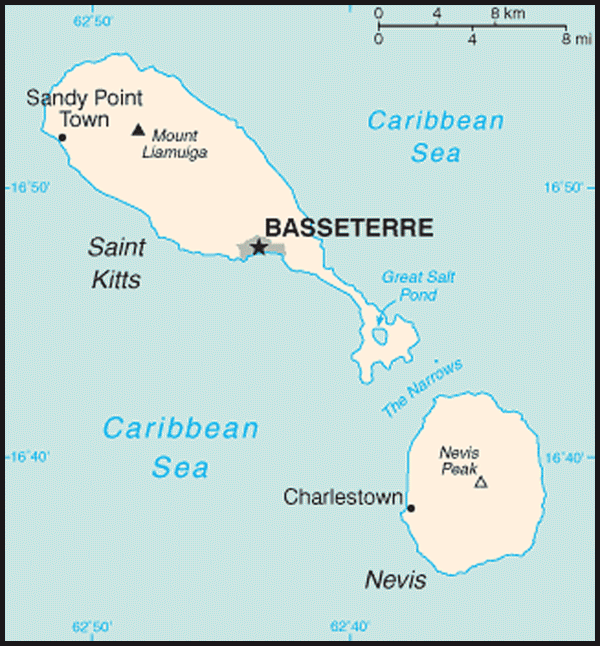 Cities: Capital: Basseterre (pop. about 15,000). Nationality: Noun and adjective: Kittitian(s), Nevisian(s). Annual population growth rate (2007): 1%. Education (2005): Adult literacy: 97.8%. Health (2007): Infant mortality rate: 14.5/1,000. Life expectancy — men 68 years; women 72 years. Branches: Executive: governor general (representing Queen Elizabeth II, head of state), prime minister (head of government), cabinet. Legislative — bicameral Parliament. Judicial — magistrate's courts, Eastern Caribbean Supreme Court (High Court and Court of Appeals), final appeal to Privy Council in London. Trade (2006): Exports: $31 million (merchandise) and $139 million (commercial services). Major markets — United States (91.9%), EU (3.0%), Trinidad and Tobago (2%), Netherlands Antilles (0.8%), St. Vincent and the Grenadines (0.3%). 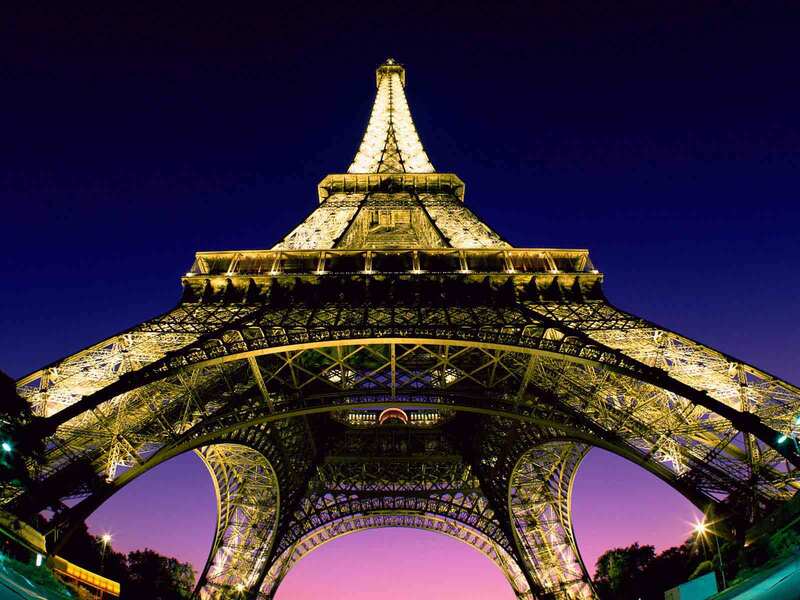 Imports — $210 million (merchandise) and $87 million (commercial services). Major suppliers — United States (57.9%), Trinidad and Tobago (14.1%), European Union (9.3%), Japan (3.8%), and Barbados (2.8%). St. Kitts and Nevis has enjoyed a long history of free and fair elections, although the outcome of elections in 1993 was strongly protested by the opposition and the Eastern Caribbean Regional Security System (RSS) was briefly deployed to restore order. The elections in 1995 were contested by the two major parties, the ruling People's Action Movement (PAM) and the St. Kitts and Nevis Labour Party. Labour won seven of the 11 seats, with Dr. Denzil Douglas becoming prime minister. In the 2010 elections, Denzil Douglas and the Labour Party were returned to power, winning six of the eight seats allotted to St. Kitts in the Parliament. The Nevis-based Concerned Citizens Movement (CCM) won two seats, the Nevis Reformation Party (NRP) won one seat, and the PAM party won two seats. The next elections are constitutionally due by November 2015. The constitution gives Nevis considerable autonomy. Nevis has an island assembly, a premier, and a deputy governor general. Under certain specified conditions, it may secede from the federation. In accordance with its rights under the Constitution, in 1996 the Nevis Island Administration under the Concerned Citizens' Movement (CCM) of Premier Vance Amory initiated steps towards secession from the Federation, the most recent being a referendum in 1998 that failed to secure the required two-thirds majority for secession. Constitutional safeguards include freedom of speech, press, worship, movement, and association. Like its neighbors in the English-speaking Caribbean, St. Kitts and Nevis has an excellent human rights record. Its judicial system is modeled on British practice and procedure and its jurisprudence on English common law. In the July 10, 2006 Nevis elections for the Nevis Island Administration, the NRP won three of the five seats; the CCM won two. The NRP's Joseph Parry assumed the premiership of Nevis. While opposing secession, the government acknowledged the constitutional rights of Nevisians to determine their future independence. Premier Parry won reelection in the July 2011 poll. The opposition has challenged the results in court and a resolution is pending. Since St. Kitts and Nevis attained full independence in 1983, relations with the United States have been friendly. The United States seeks to help St. Kitts and Nevis develop economically and to help strengthen its moderate, democratic, parliamentary form of government. 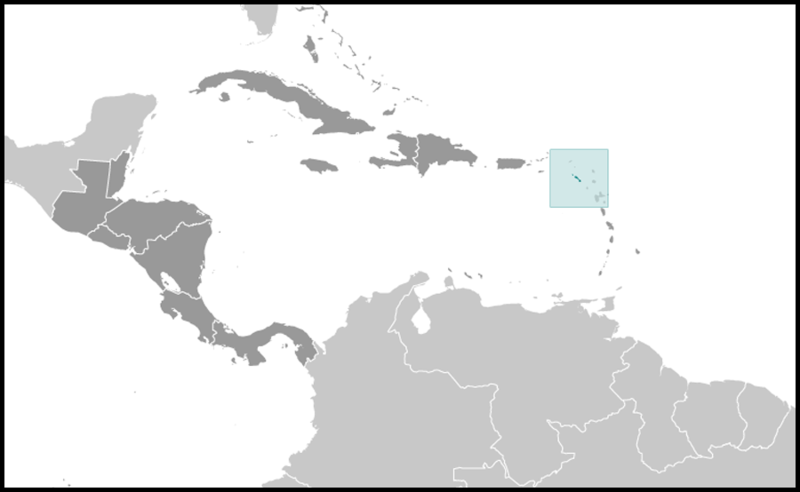 St. Kitts and Nevis is a beneficiary of the U.S. Caribbean Basin Initiative. U.S. assistance is primarily channeled through multilateral agencies such as the World Bank and the Caribbean Development Bank (CDB), as well as the U.S. Agency for International Development (USAID) office in Bridgetown, Barbados. In addition, St. Kitts and Nevis benefits from U.S. military exercises and humanitarian civic action construction projects. The U.S. Embassy (http://barbados.usembassy.gov/) in Barbados is located in the Wildey Business Park, Wildey, St. Michael (tel: 246-227-4000; fax: 246-429-5246).